Artist and curator Nancy Tingey was the first person I interviewed for my history of the Churchill Trust, Inspiring Australians (2015) and it was a wonderful story to begin my research with. Nancy founded the group, Painting with Parkinsons in Canberra in 1994. Her husband Bob had been diagnosed with Parkinson’s a few years before when he was 46. Nancy Tingey began the group she called Painting with Parkinsons ‘just [as] an idea for a fun thing to do’. 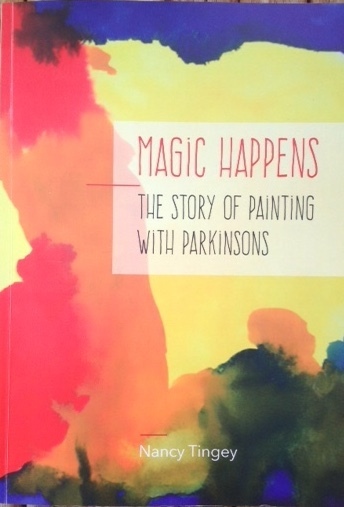 Her beautifully produced book, Magic Happens, outlines the journey of Painting with Parkinsons, with insights of some class members, teachers and facilitators. Nancy Tingey’s own professional and personal journey gently threads its way through this powerful and moving book.